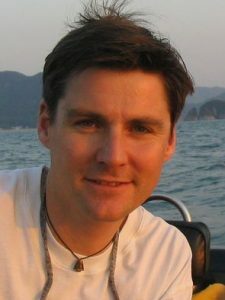 Kevin, originally from the UK, has lived in Hong Kong for over 22 years. He grew up in Northern Ireland, and became an RYA Sailing Instructor at the age of 18. In Hong Kong, Kevin has worked at all three of the larger Yacht Clubs, and is well known in the sailing and marine industry. He is now a Hong Kong Sailing Sailing Federation Trainer and Chairman of the Sailing Development Committee, responsible for the national development of sailing. He holds his Hong Kong Pleasure Vessel Operator’s Licence, RYA Power Boat (Level 2), and RYA and HKSF Safety Boat certificates. When not driving the ZOOM RIB, Kevin is often seen teaching dinghy sailing and helping with Regatta Safety.